Susan G. Komen San Diego | Local Seafood Restaurant, Sally’s Fish House & Bar, Invites You to Dine Out for the Cure! 05 Jul Local Seafood Restaurant, Sally’s Fish House & Bar, Invites You to Dine Out for the Cure! Get together with friends and family and plan a visit to Sally’s Fish House & Bar for some appetizing and sustainable seafood on Thursday, Oct. 18th. We are excited to have Sally’s Fish House & Bar join our Dine Out for the Cure family once again. They are pledging 25% of their lunch and dinner business to go toward local breast health services and support for uninsured and underinsured patients and their families. Make sure to order their Seafood Paella, a signature dish that has been on the menu since the restaurant opened 25 years ago. San Diego’s best-kept secret and most romantic fine dining seafood restaurant on the water. Whether you’re looking for a night of sushi and sake or crab crusted New York strip steak and merlot, our menu is all about sustainable seafood, local ingredients and unforgettable flavors. Chef de Cuisine, Jay Payne, combines traditional seafood preparation techniques with a wood fire grilling method to create flavors that add new twists to classic dishes. Just a stone crab’s throw from San Diego’s celebrated Gaslamp Quarter and Seaport Village is the charming and sophisticated Sally’s Fish House & Bar. 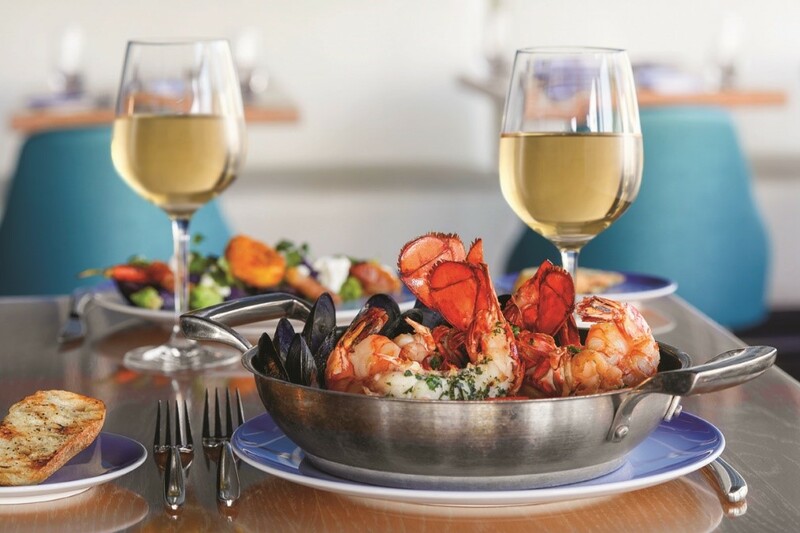 Sustainable seafood and spectacular panoramic views of San Diego Bay distinguish this Southern California dining landmarks and one of the best waterfront seafood restaurants in San Diego.